A child at play is a force of nature. 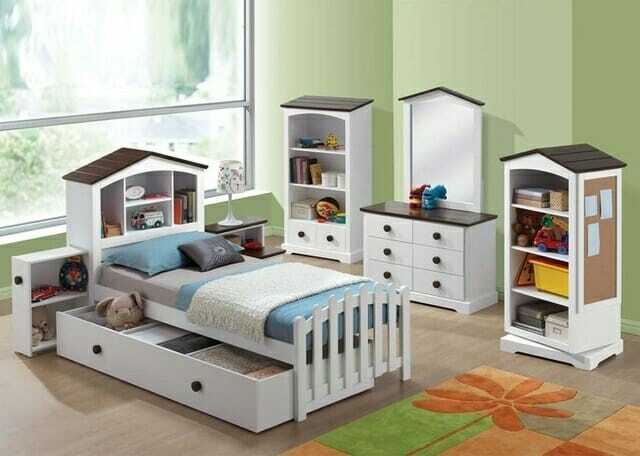 That’s why, moreso than any other room in the home, a kid’s room should be able to withstand considerable wear and tear. And not only that—growing kids need rooms that fit their changing needs. Whether you’re decorating a nursery for your first baby, designing a kid’s room in a new home, or looking to upgrade an existing room for a child who’s outgrowing their space, we’ve got the design and decorating tips you need. Here are some of the top trends in kids’ bedrooms for 2016. It should come as no surprise that pastels continue to be popular color schemes for children’s rooms. These soothing hues hit the perfect balance between a playful and calming mood since they brighten a space without being harsh or overwhelming. More recently, though, we’ve been seeing a trend of neutrals—most often associated with a “grown-up’s” aesthetic—turning up in children’s rooms. Palettes built around shades of gray are a current favorite for designers. Varying gray tones with a pop of yellow, coral, or blue offer a modern twist on the classic pastel color scheme. Gray makes a perfect base color because it’s soft and gender-neutral, but still lively enough to be kid-appropriate. Neutral color schemes go hand-in-hand with another trend in kids’ rooms—the kind that are designed to grow with kids as they age. Along with simple colors, designers are opting for smaller accent elements and subtle themes that can be easily changed out over time. Instead of bold, dramatic colors and age-restrictive themes that kids are likely to outgrow quickly, designers are looking for ways to make a youthful theme timeless. This inventive design approach has seen bedrooms grow with children not only from infant to toddler stage, but all the way up through adolescence. Of course, some parents still want their little one’s room to have a playful, creative theme—and an adventure motif will never go out of style. 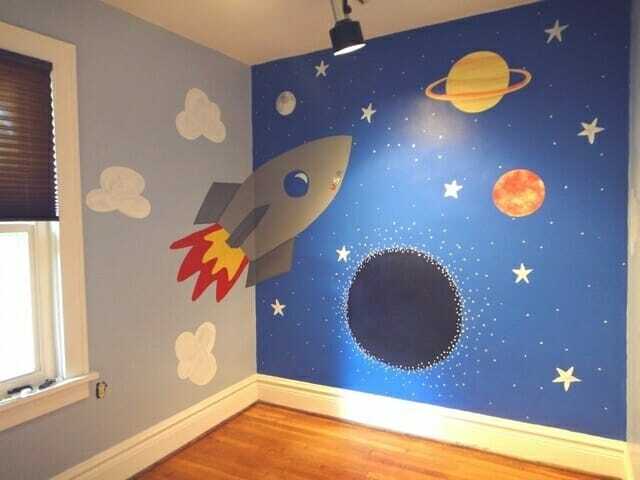 Ocean, jungle, pirate, and outer space themes will dominate kids’ bedrooms this year. Using vinyl decals on neutral colored walls gives you the option of bolder accents that are easy to remove as your child’s tastes change. 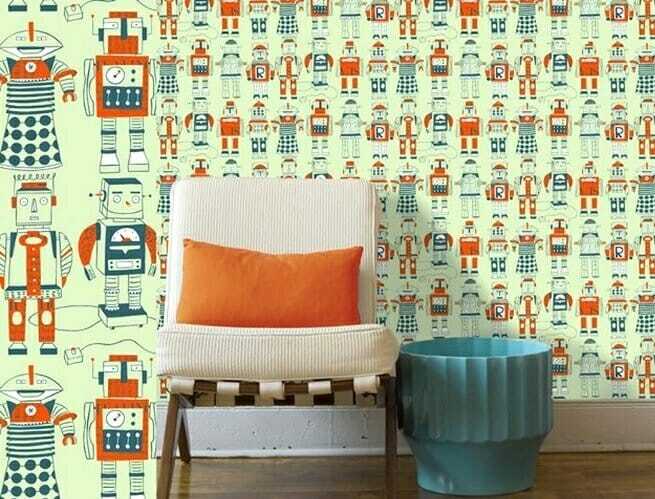 Especially for creating accent walls, wallpaper is a standout choice for kids’ bedrooms this year. Stylish and refined wallpaper can be perfectly coordinated with a room to make the same kind of statement that a piece of art would. You can also use it to cater to a child’s current interests in a way that’s easy to update once your son’s dinosaur obsession or your daughter’s passion for ballet has dwindled. The reason this classic pattern works so well in decor is because they add visual interest or even texture, and they can work for any age or color scheme. They’re versatile and can range from subtle monochromatic hues, to striking black and white, to splashes of vivid color, or even shiny metallics. Because of the simple nature of this pattern, you don’t have to worry about overdoing in in your decor—try incorporating stripes into an accent wall, curtains, a rug, bedding, and other furniture—or even on the ceiling! Since kids’ bedrooms often serve as a multi-functional play and sleep zones, designs with plenty of built-in storage are taking center stage. Cramming things under the bed used to be the lazy kid’s method of cleaning up, but today, beds with built-in drawers underneath are a great way to save space and stay organized. Built-in shelves or desk units are perfect for housing toys and games for younger children and can also provide older children with space to do homework and hold books and collectibles. It’s no longer just for artists’ studios in the big city. Lofted space is now showing up in kids’ rooms more than ever before. Particularly useful for smaller spaces, lofted beds create more storage and floor space underneath and work especially well in a situation where multiple children share a room. In a room with high ceilings, you can also create a reading loft with bookshelves and soft pillows for cozy reading. The Ikea influence is undeniable. Painted metal and wood furniture is a new favorite for any youngster’s bedroom, along with pieces that feature geometric shapes and designs. Modular furniture that can be taken apart and reconfigured in a variety of ways is also popular for both saving space and the ability to utilize pieces in different ways over time. 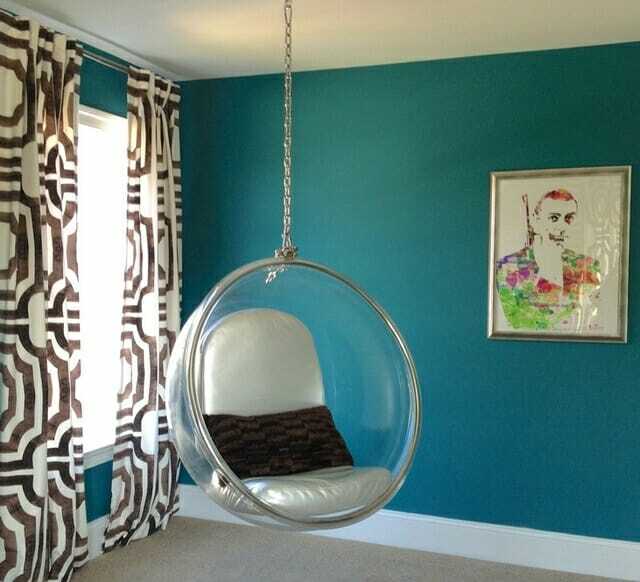 As far as seating goes, traditional chairs are giving way to funkier options, from large multi-use poufs to hammocks or even swings hung from the ceiling or from lofted furniture. We hope these ideas have helped you get a sense of the latest in kids’ bedroom design. Kids’ rooms pose some unique challenges, but they are also a great opportunity to be creative and have fun. Who knows, maybe the trends everyone’s talking about next year will be the ones you set yourself!